"Lather, rinse, repeat" is a lie. The most clever line in the history of marketing isn’t “Just Do It” or “Don’t leave home without it.” It’s “lather, rinse, repeat.” Somehow, shampoo manufacturers convinced all of America to lather up their heads with suds twice every day, when even once a day is arguably excessive. But not everyone wants to obey the instructions on the bottle. A growing band of grooming rebels is pushing back against sudsy locks — and they’re doing it while keeping their heads of hair so shiny, clean, and healthy that they could serve as hair doubles in Hollywood movies. Most impressively, that’s true even though “hair double” isn’t an actual job. Why Use The No Poo Method? The basic premise of the no poo method is that you don’t need to wash your hair as often as soap companies make you think you do, and you don’t even need special products for great hair. Here are the two main reasons people are permanently crossing off “shampoo” on their shopping list. More natural alternatives ensure that you have a better handle on what you introduce to your scalp. Washing your hair with powerful soaps daily is a guaranteed way to make your hair drier than beef jerky. Rethinking how often you actually need to wash your hair in order to keep it clean, plus using less potent alternatives, can actually improve the appearance and health of your hair. Everyone’s hair reacts a little differently to shampoo alternatives. But here are a few of the most common methods. Consider the eco-living Swiss army knife in your kitchen: apple cider vinegar. 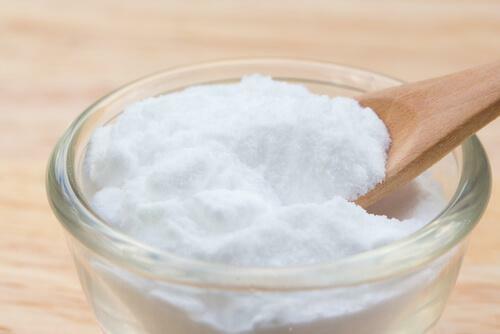 When combined with common baking soda, it can turn into a powerful natural cleanser. In fact, you might already use this combo to scrub your kitchen counter, but the right amount can keep your hair clean, too. Here’s how it works. First, mix one part baking soda with three parts water in a container. The actual amount you’ll need will depend on the length of your hair, but one or two tablespoons should be enough. Apply this mixture to your hair, trying to get every strand. Then rinse it off with warm water. Next, it’s time for the vinegar rinse. Mix one part apple cider vinegar with four parts water. If you’re concerned about the vinegary odour, you can also add essential oils to the mixture. Rise your hair out with it (be sure not to get the mixture in your eyes.) Then rinse your hair out with water again. Voila: you have cleaned your hair without giving any money to giant soap companies. It sounds silly, but rye flour can keep your hair clean, too. 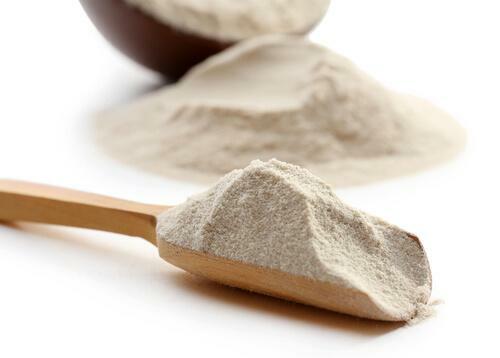 Simply mix equal parts rye flour and water and apply the mixture to your wet hair. Ideally, you should use a very finely ground flour so it doesn’t get lumpy. Leave the mixture in for about 10 minutes, then rinse it out. This might not be a good choice for people with thick or easily tangled hair, however. Those hair types can make it a little harder to rinse the mixture out. You might try adding more water to dilute the mixture, which makes it easy to rinse out after you have cleaned your hair. Obviously, this will be a littler harder to pick up at your local grocery store, but you can clean your hair with the herb soapwort. It got its name because it contains saponins, which are cleansers. 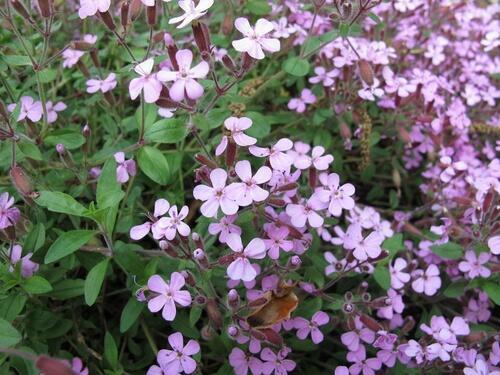 Chop up two tablespoons of fresh or one tablespoon of dry soapwort leaves into a bowl, and then mix in a cup of warm water until you see suds. Strain the mixture into another bowl so you’re only left with the sudsy water. Then simply massage half of the mixture into your hair and rinse. You can keep the other half in a fridge for up to a week. If you’re really ready to go all in with the no poo method, you might also try the purest substance of them all: just water. Your scalp might start to itch just at the thought of forever ditching any haircare product, but people have claimed that they clean their hair with nothing but warm water without problems. The trick? This method actually uses your own natural hair oils to cleanse your hair. Here’s how you can keep your hair clean with nothing but a brush as your shower faucet. Brush your hair with a bristle brush to evenly distribute your hair’s natural oils. Hop in the shower and rinse your hair with warm water. Don’t make it too hot, though — that might damage your hair. Firmly, but without force, rub the water over your hair and scalp. Finish off with a cold water rinse, and dry. Making the jump away from hair care products can be intimidating. You might be wary of risking the cleanliness of your hair in a hygiene experiment. But if you find a shampoo alternative that works for you, you might find that you’ll never buy those tubes of viscous soap ever again. Have you ever tried the no poo method? Let us know what techniques worked for you. "If you find a shampoo alternative that works for you, you might find that you’ll never buy those tubes of viscous soap ever again."